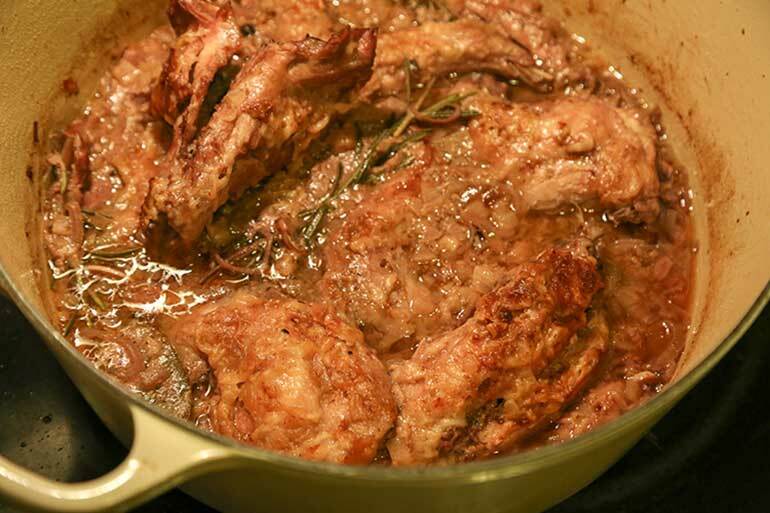 The German rabbit dish called “hasenpfeffer” is made by marinating rabbit in a highly spiced (not spicy) and vinegary concoction for 2 or 3 days, and then slow-cooking the rabbit in the same liquid after. In a saucepan, combine marinade ingredients and bring to a boil. Set aside and allow to cool completely. Quarter rabbit(s) into smaller pieces and place them inside a zip-top bag. When marinade is cool, pour it over the rabbit and seal. Refrigerate for 48 hours, flipping the bag occasionally. When you’re ready to cook, preheat oven to 350 degrees Fahrenheit. Remove rabbit from the marinade. Strain the marinade, discarding solids only, and then set the liquid aside. Heat 1 tablespoon oil in a Dutch oven over medium-high heat (or other heavy ovenproof pot with a lid). 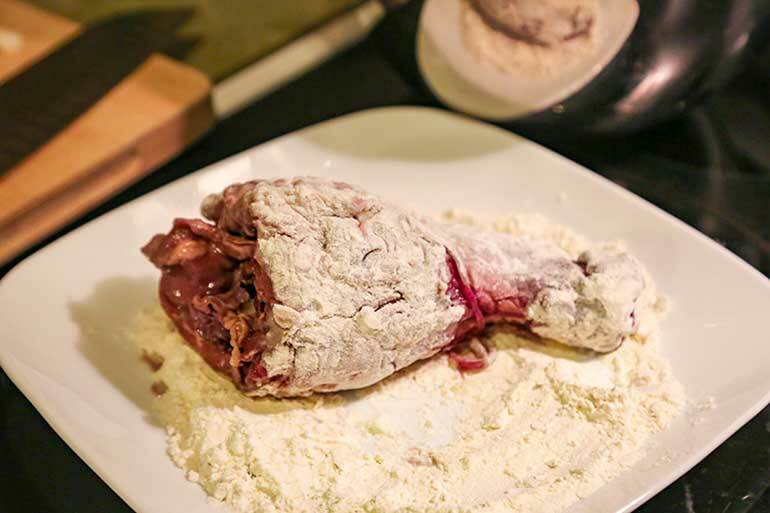 Coat rabbit with the flour, shaking off excess, and brown on both sides. Do not overcrowd the pan; add more oil if necessary. 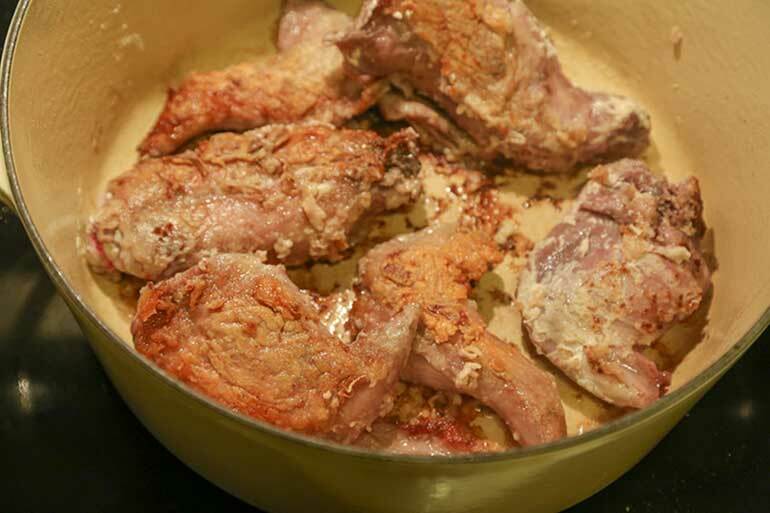 Remove browned rabbit and set aside. Lower heat to medium. Add the remaining oil to the pot and sweat chopped onion until translucent. Then add the reserved liquid from the marinade and 1 tablespoon of sugar, scraping the bottom of the pan with a wooden spoon to loosen up the brown bits. 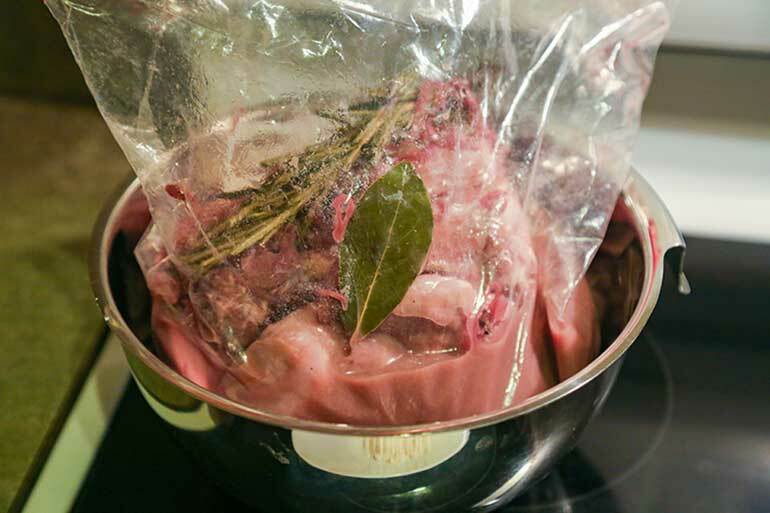 Return browned rabbit to the pot and add 2 sprigs each of rosemary and thyme and 1 bay leaf. Bring to a boil then take off heat. 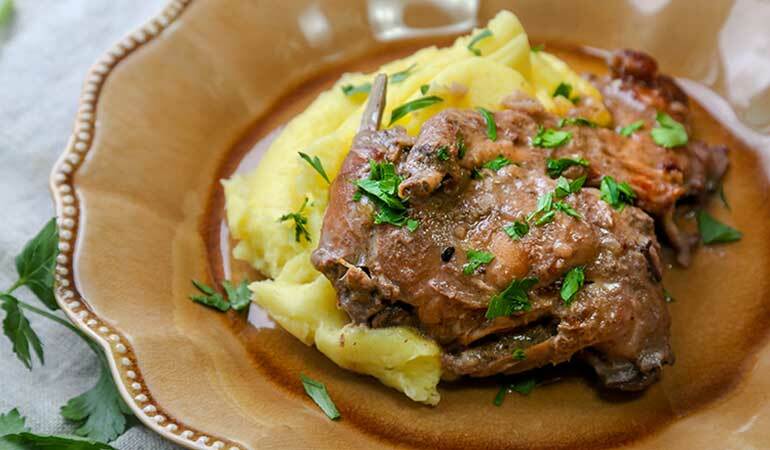 Serve hasenpfeffer over mashed potatoes, boiled potatoes or German dumplings. 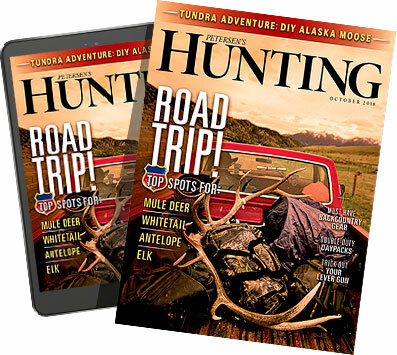 My friend Gerry Steinauer is a botanist with the Nebraska Game and Parks Commission, and when Gerry and I get together, the topic of conversation often turns to cooking and wild game. On recent visits, hasenpfeffer has become his latest obsession. As a kid, Gerry couldn’t stand to be home when the house filled with the acrid, pungent smell of boiling vinegar, which his devoted mother could also barely tolerate yet still unenthusiastically prepared hasenpfeffer for his father. But as an adult, Gerry’s tastes have changed, and he now has a newfound appreciation for this longtime German family favorite. And I bet the availability of more gentle vinegars does help a lot. I do not suggest using white vinegar with this dish – the flavor and smell is too harsh. If you don’t have apple cider vinegar, choose red wine vinegar or white wine vinegar instead. 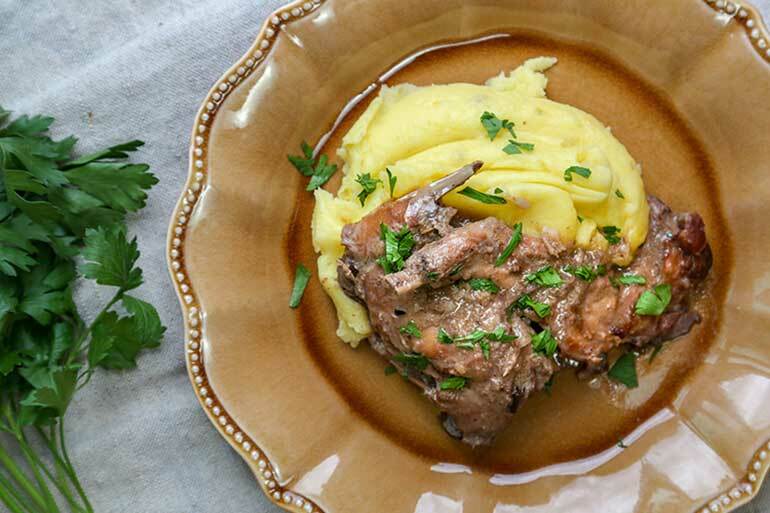 This rabbit stew recipe turned out to be delicious, and also unique. Fortunately, the vinegar did not overpower the rabbit – as I had feared. Rather, the acidity provided a pleasant foil to the richly buttered mashed potatoes I served with the hasenpfeffer.